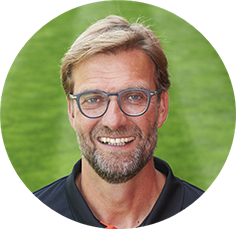 Wherever you are lucky enough to attend a LFC coaching programme we hope you have fun and enjoy learning how to play ‘The Liverpool Way’. The Liverpool Football Club ist the Best in the world. As a large LFC family, we have the responsibility to give young players worldwide access to the best environment and the best coaches. This is the goal that we want to achieve with our international academies. By keeping to the same curriculum as our players in the LFC academies, we can ensure that all participants receive the best possible football training from our trainer. It is extremely important to develop the skills of the players both on and off the pitch, and this is exactly what happens in our international academies. I am extremely proud to be an ambassador to this fantastic academy. This task allows me to bring the LFC to our young fans around the world and demonstrate to them what it means to be part of the LFC family. Liverpool has a reputation as an elite club. We are proud to create the best possible environment for the development of young players both as footballers and as people. We have an unusual philosophy that is familiar to our players, employees and fans who are recognized around the world, and which distinguishes us from other football clubs. What it means to play like Liverpool has never been clearer than in the Champions League final of 2005: team spirit, hard work, determination and the ability to overcome obstacles in life and play with dignity and fair play. All of these are values and qualities that we value our players. Over the past 50 years, the club has been at the forefront of British and European football, winning many championships and European club tournaments. In the course of this time, the tradition has been consistently developed to further develop top players, in particular from the Liverpool Academy: Steven Gerrard is the ultimate example of a "homemade" talent that ranks among the greats of sport worldwide.